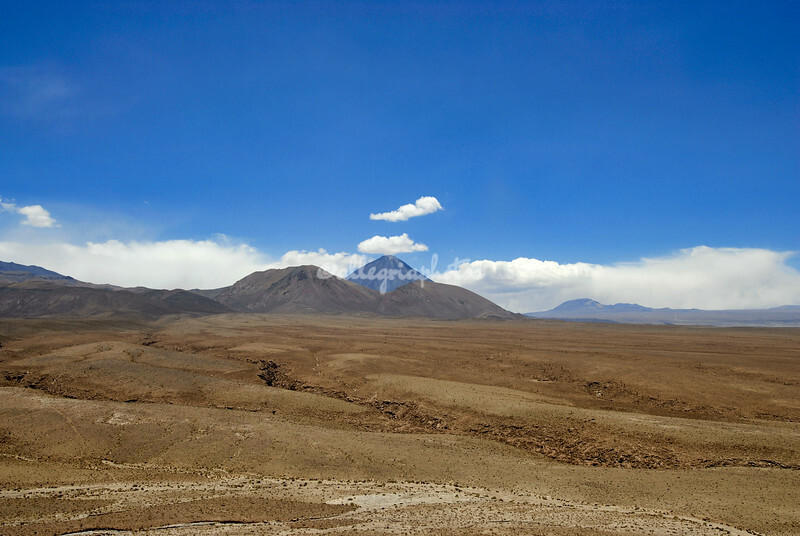 The Atacama Desert of Northern Chile is considered to be the driest place on earth. There are parts where there has been no rain in the recorded history of man. Yet, the desert lives. It is a fascinating place with lunar landscapes, spouting geysers, a rich variety of wildlife. It is a place to be visited time and time again to appreciate its many facets. Licancabur Volcano, Atacama Desert. The name comes from the Kunza language and means "Mountain of the People"